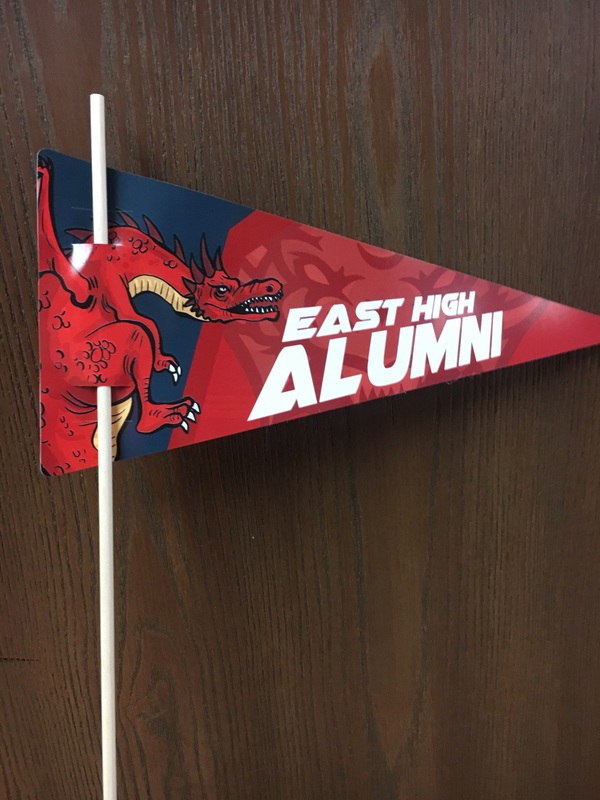 For all the Alumni who missed out on getting an Alumni pennant at the Alumni Homecoming game this year, we are giving you the opportunity to purchase one (or more) at East High School. Starting Tuesday November 13th they will be available at the high school. Just see secretary Vicki Derr in the office. Price will be $3. All proceeds will go to the Alumni Association and eventually to the students of East High School. See attached.